If you mow more than about a third of an acre, you will have had plenty of time to think as you trudge up and down behind your walk-behind lawn mower. You've probably been thinking about all the other things you could be getting done if it wasn't taking so long to mow your lawn. You may have even entertained the idea of getting a riding lawn mower or lawn tractor to take the effort out of doing the job, but then dismissed the idea on account of the cost. That's not surprising, even mid-range riding lawn tractors in the John Deere X300 Series will set you back more than $3,000. But if you have considered going down the riding mower route, then it might be worth exploring our riding lawn mower reviews for the Weed Eater One riding lawn mower. sit-down way to cut your lawn that there is. The Weed Eater One has a 190cc Briggs and Stratton OHV engine, three forward gears and one reverse gear and simple pedal controlled clutch and brake system. As far as mowing is concerned, this no-frills riding mower has a single blade 28 inch wide cutting deck that discharges the clippings to the side - you can also opt for the mulching lawn mower blades (which ensures the clippings are cut finely and re-deposited into your lawn). The alternative is to buy the twin-bin collection bag. That will give you the tidiest result of all, but you do have the added effort of emptying it. Cost - you probably won't need to spend more than about $800 on a Weed Eater One. Be aware, the Weed Eater One is a bit limited in its capabilities, which is a reflected in its low price. It won't cope with especially rough ground or most inclines. It also won't be able to do any of the other tasks that lawn tractors can sometimes do with special attachments, such as tilling or hauling heavy loads. You therefore need to satisfy yourself that your conditions will not be too demanding for the Weed Eater and that you don't need more of an 'all-rounder' riding lawn mower. In fact, one of the biggest errors that buyers make when choosing riding mowers is to buy a machine that isn't really suitable for the conditions on their property. Since these are big ticket items, you need to get this right. Having said that, the Weed Eater One has one of the smallest of big tickets compared to other similar types of mower. But you need to bear that in mind when considering whether this Weed Eater will suit you and adjust your expectations accordingly. 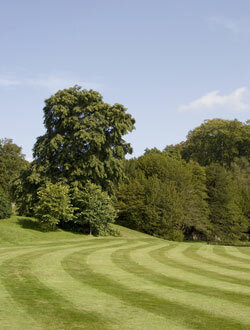 Our guest author for this article is Martin from Lawn Tractor Buyers Guide. If the Weed Eater One does sound like it might be the riding lawn mower that you've been looking for, take a look at the very detailed Weed Eater lawn mowers review that you'll find at his site. 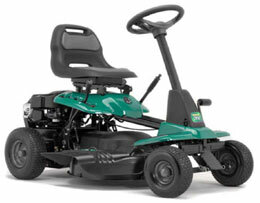 This will help you find the best riding lawn mower for your needs! Note: We'd love you to add relevant comments to our Riding Lawn Mower Reviews! Contact Us and share your thoughts.